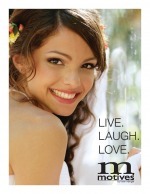 Motives Customized Cosmetics Products from BeYourselfBeauty.com for direct sale and distribution. Make-up artist services available for Weddings, Bridal and other Special occasions. Business opportunity available. Complete Training available. Prior experience not necessary. Last Updated: Oct 21, 2010 Listing Expires: Fri Oct 21 15:37:25 2011 This listing has been viewed 4251 times.